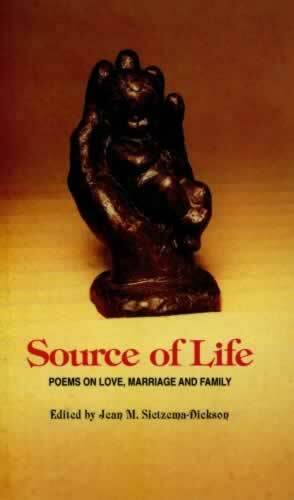 Poems on love, marriage and family, the third book of poems from Poetica, Christi Press, tackles a subject of more general interest than Tree of Life or Water of Life. Like the previous books it features the work of the Melbourne based Wordsmiths and contains guest contributions from other Australian poets. “In a world full of confusion and pain some people grow to adulthood with a limited experience of love, their lives warped and constrained by this deprivation. It is in recognition of this fact that we have given this book its title. Life is more than just the physical. It involves the interplay of mind and emotions, the quickening of the spirit. The source of life is not only the act of procreation… but the rich bond of love between parents that nurtures the child so that her/his full potential may be realised.” From the Introduction by Jean Sietzema-Dickson. “Illustrated by the young photographer, Bronwyn Van Bockel, (this book) addresses various aspects of those evergreen subjects: love, marriage and the family, the title Source of Live, imply not only the obvious earthly connotations but the spiritual link to the source of all creation.” From the Forword by Joan Ackland. For her it is not a matter of ashes and dust. She is in full blaze. commanding a roaring wind to feed their passion. Flame cuts clean through the rings of time. steadily gives out its hot neon. have cold backs and flushed cheeks. glimpse autumn trees in the fleeting flames. making their way to eternity. Currently there are no reviews for this product. Currently there are no questions for this product. Please click here to sign in or register.